I was doing some major re-organization of my stash this weekend, and I realized that I have never swatched Ruby Pumps! I know that I have worn it, but how in the world did I manage to skip taking a pic? Who knows, but I knew I needed to remedy that because it's gorgeous. The above swatch is three coats, but two would be fine. The best thing about this polish is that it dries smooth, so you don't need to add a coat of Gelous before you do your QDTC. That certainly made for a quick and easy mani. 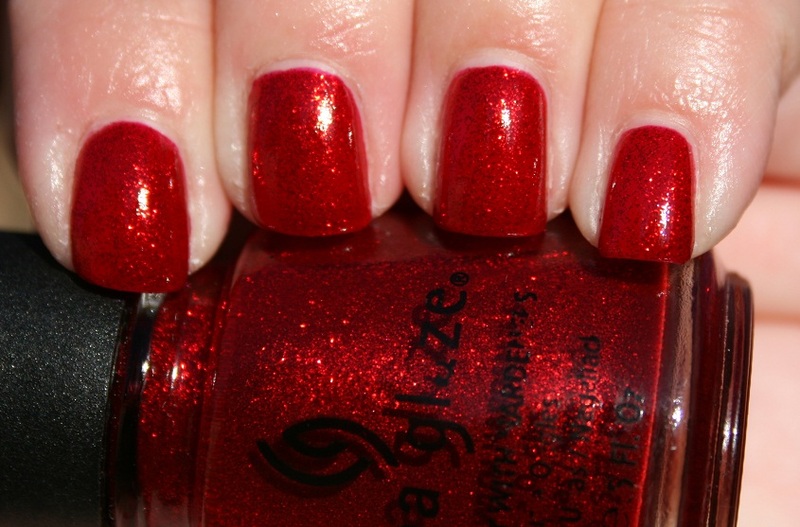 What classic China Glaze is your favorite? This is definitely mine. This is a great polish!